Many thanks to all of our sponsors! You can see them all below. Today’s leg is sponsored by Steve’s company, PMP Utilities. 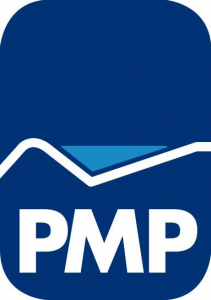 In 2015, PMP moved to new purpose designed headquarters in Burnley. These substantial new facilities highlight our continued commitment to support our clients throughout the utilities, power and processing industries. The new premises house our new engineering workshop, equipped for bespoke milling, turning, welding and fabrication, along with large dedicated and secure internal and external storage. The new headquarters also contain purpose built mobilisation and welfare areas and new office and training facilities. This considerable investment by PMP will provide even greater certainty in our capability and allow us to take advantage of new opportunities for growth within AMP6 and across all industries. Everyone at PMP is extremely proud of Steve and what he has achieved during this walk to raise funds and awareness for CF. We are looking forward to having him back at work but, hopefully, we won’t need to see his feet! Geoff Gough Valeting Services. a fantastic mobile business that means you can have your vehicle valeted on your driveway - makes life a lot easier! ...Geoff is a running pal of Garry Wilkinson and was one of the first to step up and pledge his sponsorship ....he can be contacted on 07843495363 - call him for all your valeting needs. Today's Leg is sponsored by 2 businesses belonging to James Smith ...Steadplan MAN Trucks and Trailer dealership. both of which we would massively have struggled without. 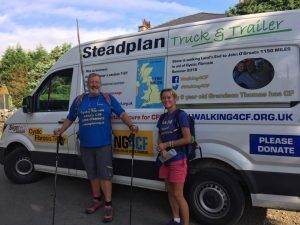 They both gave us the loan of the support vehicle, which has been invaluable, and produced all the signage for this van and Steve and Alizon's motorhome - raising awareness of the challenge, and CF, wherever they went! Huge thanks to James and both his companies for this support - as Steve approaches his last 5 walks today we realise even more that none of this would have been possible without such generosity behind us both in donations and the practical stuff we needed! 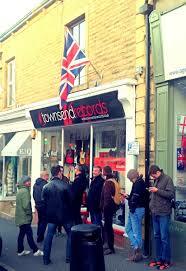 Today's sponsor is Townsend records of Clitheroe .....trading for over 30 years they are a fantastic real music shop where you can still browse vinyl and CD's amongst other music supplies and instruments...pay them a visit on Moor Lane in Clitheroe - you won't be disappointed! Visit their online store, too. AGM are a leading provider of spraybooth servicing and repair. 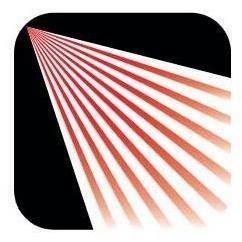 Their network of engineers operate across the UK, ensuring technical faults are dealt with quickly and effectively. They have amassed a reputation for offering a fast, professional service that their clients are thrilled with. AGM Services offer aftercare for spraybooths and their experts offer advice and support to ensure all their clients equipment is operating as it should be. AGM Services offer an industry leading customer information portal that allows clients to manage their spraybooth documentation, giving them access to test results, certificates and their overall performance. Owner of PH is Paul Hesketh....one of Garry Wilkinsons running lads from Clayton Le Moors Harriers. PH Electrical is a small family firm but with a mass of experience in the commercial electrical installation sector and with high end customers such as Barnfields Construction. 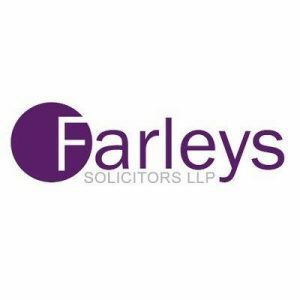 Paul is not only our sponsor of the day but also supports a lot of local causes. 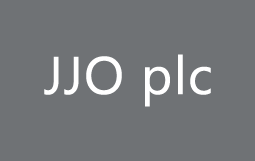 Founded in 1868, JJO plc has grown into one of the largest manufacturers of Kitchen, bedroom and bathroom furniture in the UK. Their modern production and warehousing facilities covers approximately 1.1 million square feet of real estate and they manufacture their goods using the very latest in specialist furniture production machinery. The quality of the finished goods and their sympathetic approach to the environment, has been recognised many times and won them a host of awards. Unlike their competitors, they don't just claim to be environmentally friendly, they can prove they are environmentally friendly! 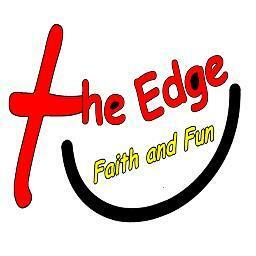 Take a look at their website to see everything they do - fabulous company and we're so very grateful for their support. Sponsored by our very own Garry Wilkinson and The Everest Team ....see the message below from Garry. In 2005 Garry put a ‘Team’ together to raise money for various charities. 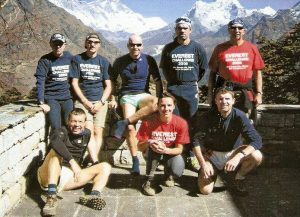 The ‘Challenge’ was to run the Everest Marathon ….not just any marathon….the highest and reputed hardest marathon in the world!! Taking 17 days to trek to the start at the Base Camp of Everest at 17,000 Feet. They spent the year leading up to the event raising money for ‘Get Kids Going’ a charity involved with funding disabled kids into sport, ‘Water Aid’ and ‘Leprosy in Nepal’ and various other local charities. They raised a staggering £54,000 that year. 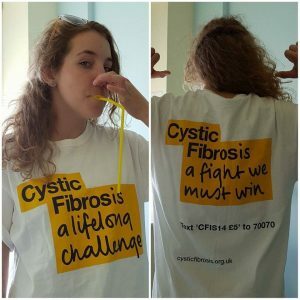 After hearing about Stephen’s fantastic ‘Le Jog’ Challenge 4 Cystic Fibrosis and having some money still left in the account they have donated a whopping £1,000 to the cause!! 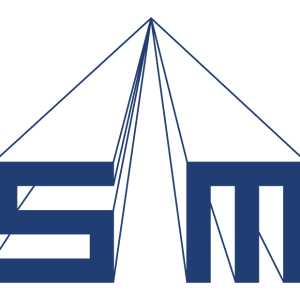 DSM have a team of dynamic, qualified and expert accountants working across a wide range of industries and specialisms. They bring a diverse range of ideas to business aims and strategies. They help their clients to reach their goals by understanding what they want to achieve in business. They also work closely with banks, investors and other professionals to help their clients accomplish those goals. DSM are recognised training providers for chartered accountants in both the leading ACA and ACCA qualifications, and invest in their people so that clients get the best also. Money can’t buy passion and they are passionate about what they do! The company offer compliance services, but also offer so much more with bespoke accountancy procedures to enhance and help to develop a business to work for the client effectively. Leg 48 is the start of the weekend for Steve and Alizon - Loch Lomand to Bridge of Orchy and kindly sponsored by SB Tippers www.sbtippers.co.uk .... SB Tippers is a family run business, based in Great Harwood, Lancashire with over 40 years of experience, providing a professional service within the Northwest region of England. It now stands today as one of the leading haulage contractors and plant specialists in the sector. Specialising in bulk excavation, they provide a full and wide range of products and services to various customers within the industry. These include supplying Local Authorities, the Utility companies, the Environment Agency, the Construction and Development market, Demolition, Landscaping and the private sector as a whole. From the hiring out of plant, vehicles and equipment, to the provision of recycled aggregates, top soil and tipping facilities at their own purpose built reclamation centre; they offer all their clients exceptional levels of service and attention to detail that you would expect from a dedicated family run business. They provide a complete range of services that include: * Site visits to recommend what type of plant, vehicles and products are most suited to the job. * The hiring out of all plant, machinery, vehicles and equipment - self drive and operated. * The provision of fully trained and professionally qualified drivers and operators. * Hazardous waste management - The removal of all types of waste to fully licensed disposal sites. * Specialist advice and recommendations on the recycling of materials and the sale of recycled aggregates. * 24/7 backup and aftercare service. * Bulk Spoil Removal. * Advice on all new legislation and products. * An in-house workshop that services and maintains all plant and vehicles. Whatever your plant and haulage requirements are; SB Tippers have a professional and experienced base of operations to tackle the most arduous of jobs. Leg 47 today Cashel to Loch Lomond and at some point today our own Garry Wilkinson will be joining Steve up in Scotland! Michael Toms Stationers based in Burnley are the sponsor of this leg -..... With a product range in excess of 30,000 items, many of which are sold at 50% 60% 70% or even more off the recommended retail price not just occasionally but every single day...but price is not everything and Michael Toms fully understand the importance of a personal service in an impersonal world. They are one of the most pro-active stationery companies in the North West, supplying computer supplies, office furniture, printed stationery, health & hygiene products and arts & crafts supplies. Michael Toms are the best choice for businesses and guarantee quality, fast delivery, friendly service, extensive product range, competitive pricing, comprehensive warranty, branded products, no delivery charges and no minimum order! Many thanks to all at Michael Toms for supporting the LEJOG challenge and Steve and Alizon on today's leg....our sponsors have all been amazing and we are so very grateful for the support. 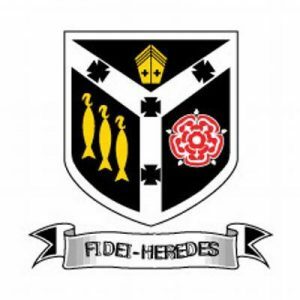 Piranha have been amazing in helping us with the website - Maria Reed, a colleague of Steve's, updates this daily in the main and has been brilliant, but I know she would agree we would have struggled initially without their help in showing us the ropes! Established in 2001 and operating out of modern city centre offices in Preston, Lancashire, Piranha has grown in both size and reputation and is now fully established as one of the most creative and strategic marketing led digital agencies in the region. The Preston head office and creative teams are supported by a growing network of sales offices which currently includes Warrington, Blackpool and Manchester. They are an award winning team of dedicated and creative digital and marketing professionals who share the belief that effective marketing is one of the most important elements of a company’s business operations. 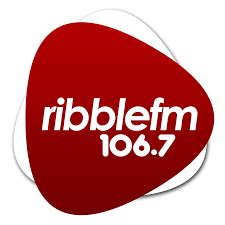 They live and breathe both digital and traditional marketing and have become part of the fabric of many Lancashire based companies who now view them as part of their day to day business structure. Their expertise covers all the elements of the marketing mix across many varied market sectors and industry segments, both consumer and business to business. Whilst their business started primarily providing direct mail, advertising and creative services, over the last decade it has evolved and now website design and development, Search Engine Optimisation (SEO) AdWords management, digital advertising, e-mail marketing and social media marketing accounts for almost 75% of projects they deliver. Leg 42 of LEJOG is Peebles to West Linton and sponsored by the brilliant band The Wrangling. The Wrangling played at the ‘Wear Yellow’ event at The Dog Inn Whalley in June where they also very kindly gave us an extra donation and will also be playing at the celebration party for Steve in October! www.thewrangling.co.uk The Wrangling play covers from the Punk era (The Jam / The Undertones) right through to today (The Vaccines / The Black Keys) covering mainly Indie / Britpop bands such as Oasis / Killers / James and some other well known but forgotten stomping classics by The Cult / Killing Joke / The Cars / Feeder / The Enemy / the Only Ones etc..brilliant! Having spent a year as a bunch of mates jamming for fun in a little room, the urge to play live was getting too great for some whilst the ambitions of others were maybe not as high – band members came and went – nobody could agree on a name then the Keyboard player left followed by the Singer which put an end to the fun! There have been a few different line ups over the years but the guys who are together now are the perfect band if you want something a little different for your event, wedding, party or function. They play a diverse range of Indie, Rock and Classic covers, and I can vouch for how good they are - as well as being a great bunch of guys ...looking forward to seeing them again in October! 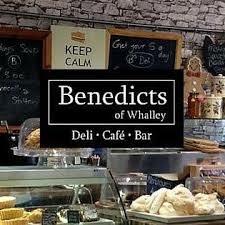 Blueberries Cafe in Clitheroe....6 New Market St, 01200 424117. 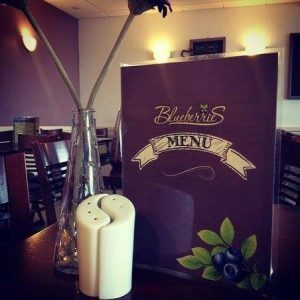 Blueberries sits on the edge of the wonderful Clitheroe Market and is an incredibly friendly place serving a fabulous array of fresh food....one of it's clients from Manchester said 'Wow! this has to be the most 'up-market' market cafe in the world. Fantastic freshly prepared homemade food, amazing staff (polite, friendly and professional) and very reasonably priced. Anyone visiting or walking around the shops must pop in and check this place out. Yet another jewel in Clitheroe's formidable crown. 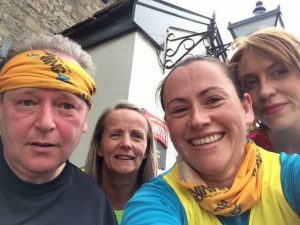 Blueberries very kindly also hosted one of Running4CF's summer runs and owner and club member Julie Coy sent this message"Reading about your journey so far has been so uplifting and motivating; you are an inspiration to us all and we are wishing you the best for your home stretch. We will have a blueberry and almond tart waiting for you when you finish! 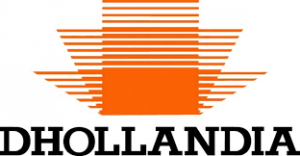 The Dhollandia range is extensive and offers options for all transport applications. The tail lift exists in various materials, dimensions and with different payload capacities. It is a system that can be entirely customized to the specific needs and wishes of the end-user. L Banner were one of the first companies to come forward as a sponsor and we're very grateful to them. L Banner are an electrical contracting company who are based in Great Harwood and who operate all over the North West and throughout the UK. They have over 20 years experience and continually gain first class positive feedback from clients with comments such as..... "reliable, skilled and friendly, would recommend this company to anyone", "professional, trustworthy and reliable - highly recommended." Today is sponsored by Goodwin Smith Shoes courtesy of our Running4CF members Steve and Claire Smith whose business Hollands Country Clothing is based in Bacup Goodwin Smith all began — as many great things do — outside a pub less than a mile down the road from where their HQ is today. Two rival shoemakers stood face-to-face arguing about which one of them could make the better shoe – Ernie Goodwin or Walter Smith. The brand’s logo is a stag’s head, as the stag is a symbol of the Rossendale Valley. 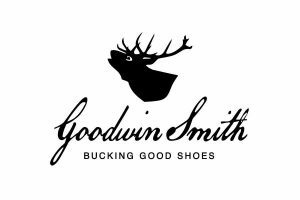 With product names like Newchurch Brown and Hargreaves Black, inspired by the local area, Goodwin Smith is a heritage brand that harks back to the truly British tradition of quality shoemaking. Established for over 50 years, Wilkinson Coach-builders is a Lancashire-based family business specialising in bodywork to suit all requirements. They pride themselves on their meticulous attention to detail and quality workmanship backed up with an after sales service which is second to none. Their commercial bodybuilding service includes box vans, luton vans, drop-sides, curtain siders, platforms, tippers, refrigerated bodies and mini-bus conversions. As well as building to customers specification, they coach-paint single pack, two pack acrylic and metallic finishes. They also adapt, repair and service existing commercial vehicles - refurbishment, sandblasting, repairs and repaints are an important part of their bodywork service. They fit, service annually and weight test new and used Ratcliff, DEL and Anteo Tail-lifts. Electrical requirements can be met with up to date technical advice. All livery and sign-writing specifications can be undertaken in-house from traditional hand-painted designs to fully computer generated vinyl decals. Services include caravan transporters, curtain siders, alloy box vans, GRP box vans, luton vans, platforms, dropsides, beavertails, milk floats, de-mounts, fall arrest systems and they also specialise in repair and refurbishments including horsebox repainting, skip loader repaints, tractor unit and concrete mixer paints, de-mounts and fall arrest systems. Whatever your coach-building or bodywork requirements, you can be sure that Wilkinson Coach-builders will always provide a reliable, high quality service and value for money. The Stonyhurst Spinners’! - some of the people helping to get Steve fit and ready for his challenge. Keeping fit, healthy and maintaining motivation is always a challenge, but with a variety of fitness classes on offer throughout the week, you are sure to find the perfect way to keep active there. From low impact classes like yoga or pilates to high impact spinning; whatever your fitness goals, they have a range of classes suitable for everyone. All classes take place in a fully equipped, air-conditioned fitness studio with mood lighting and motivating sound system. Dave and Jane who own Lakes Lodges are very good friends of the LEJOG challenge and have donated an amazing prize of a week in one of their 5* lodges to be auctioned at The LEJOG celebration party on October 12th - we are so incredibly grateful to them. I know they were perhaps going to try and join Steve for one of the Legs in the Lake District - if they manage to do that we'll hopefully get some pics!Lakes Lodges offer you the finest 5 star self-catering accommodation in the heart of the English Lake District. Located in the delightful Lakeland village of Hawkshead, their contemporary lodges will exceed the expectations of the most discerning guest. Northern Jacks are are a UK company, located in Accrington at Station Works Market St, Church, BB5 0DP and are wholesalers of hydraulic equipment. Andrew Payne of Northern Jacks is a Running4CF member - and, as ever, we are very grateful for the sponsorship and support of Steve's LEJOG challenge. Around 140 of us will be completing either 50 or 25 k - it's going to be brilliant and we're so grateful to everyone for their support. We are especially grateful to Mason's Campsite in Appletreewick who have supported the Leg 31 event tomorrow and some of our entrants are camping there tonight! www.masonscampsite.co.uk Masons is run by a small team who all love camping and work hard to ensure you have the best holiday you can! Their dog-friendly riverside site is situated in the village of Appletreewick on the banks of the River Wharfe, and is open from the 1st of April or Easter, whichever comes first. 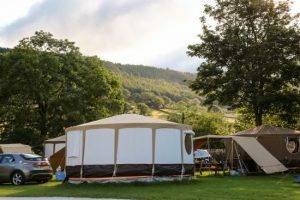 They offer pitches for you to bring your own unit, or you can turn up to your very own glamping safari tent or yurt. Massive thanks to them once again - and a massive thanks also to The Mountain Rescue Team for marshalling and supporting the event, to Mountain Fuel Sports Nutrition for supplying energy fuel drinks , to TriCAD Solutions Ltd for their invaluable help with maps and The Fell Bike & Triathlon Superstore for the Bib numbers - as ever, none of this would be possible without our generous sponsors and supporters. Leg 33 Sedburgh to Steveley is very kindly sponsored by Prima Capital Ltd. Based in Blackburn, Prima Capital are investors in good businesses with the potential to become even more successful, and are currently looking for acquisitions to further strengthen their portfolio....Prima are located at Veritas House, Sett End Road North, Blackburn, England, BB12PT..... Thanks so much to them for their sponsorship today - we wouldn't be where we are with our fundraising for this epic challenge if it wasn't for the generosity of companies and people like them. A rest day tomorrow for Steve before Leg 31 where he gets to join over 130 of us who can't wait to join in - putting one foot in front of the other raising awareness and funds for The Cystic Fibrosis Trust...good times! The Dog Inn is Whalley's traditional village inn, offering both excellent hospitality and a unique - and often eccentric - community atmosphere. Until the late 19th century the premises had its own farm attached. 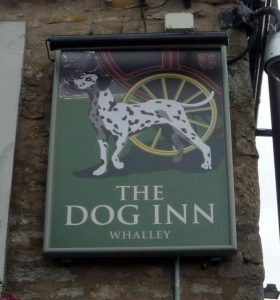 Its original name was The Spotted Dog and a Dalmatian still features on the sign. It is a sturdy corner-site building adjoining the churchyard, built of local stone, with tall, white painted chimneys and white painted door and window surrounds. Since 1992, the pub has been run by Rev. Canon Norman Atty and his wife Christine and has become renowned for its warm welcome, delicious food and superb range of cask beers. The menu features home-made food - daily or weekly specials, soups, puddings and free range omelettes. Local produce is always used when possible. Many regulars speak of The Dog Inn as a "gluepot" and, certainly, it is often easier to arrive in it than to leave it! 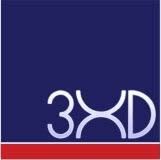 The company principally design & manufacture detail tooling, jigs and fixtures for the aerospace industry. They design & manufacture tooling for both sheet metal and composite airframers and engine manufacturers. Established for over 40 years and now in its second generation of family ownership, they are dedicated to growing the company and maintaining its independence. G Parker Aero Tooling has been closely involved in designing & manufacturing tooling for many of the world's most prestigious aircraft programmes, including all Airbus platforms, and notably the Eclipse and Honda VLJ programmes. Based in Accrington, Lancashire, the company's' team of highly skilled engineers and designers offer a vast wealth of aerospace tooling knowledge to its clients. 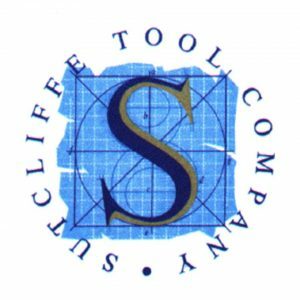 They have the capacity, capability and experience to project manage a complete tooling solution for their clients manufacturing processes. Bashall Barn has developed a reputation as a centre for excellence in the Ribble Valley for the food it makes and sells. Famous for its home made cakes, meals and ice cream.Bashall is one of those must see places, sitting in the heart of the Ribble Valley, surrounded by lush green fields, this is the heart of artisan food production. Housing a 100 seater restaurant and a 40 seater tea room and ice cream parlour, as well as several artisan food producers that can be seen brewing, baking, cooking and ice cream making – this is where food is made. Just a lovely Ribble Valley haven and place to browse the fabulous farm shop, have a fabulous breakfast, lunch or dinner and the most perfect wedding venue. 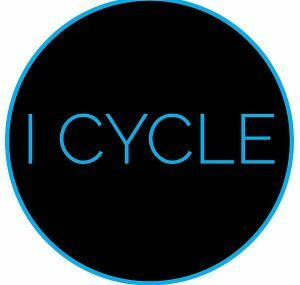 I Cycle www.icycleltd.com who have very kindly supported us with the bike that Malcom has been using to enable him to ride between locations and move Steve’s camper van. It’s been invaluable, especially between legs and for recceing routes and searching out campsites and shops; Malcolm says it’s been 100% reliable and great for the hills and challenging roads of Cornwall, Devon and now the peaks .As their name, 'I Cycle Electric' suggests, they are 100% about Electric Bikes.After recognising a growing desire and need for electric bikes, they launched their e-bike shop at Huntleys, Preston.Their dedication to understanding and discovering the best electric bikes on the market means that customers benefit from enthusiastic and expert advice. Pay them a visit - you won’t be disappointed and Malcolm can’t speak highly enough of the service and support they have given. The cafe bar has become a hub in the centre of Whalley where you can meet from 9am for coffee or maybe one of your favourite breakfasts…. Whatever the reason… they will be glad to see you! The team are all trained baristas delivering fabulous coffee from our local roaster.Benedicts is actually part of Maureen Cooksons and started life as an area for customers to find time after shopping for their new wardrobe needs.With hampers and gift vouchers… homemade sloe and damson gin and our daily fresh breads…. they really are a one stop shop! Flex Yoga strives to bring the beautiful practice of yoga to all in the Manchester area. 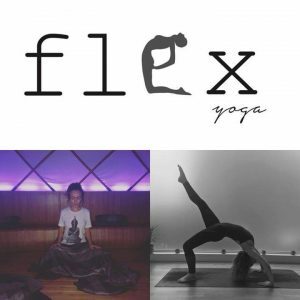 Flex Yoga founder, Alexis Fletcher, will guide you through a gorgeous flow, inspired by her many years of practicing yoga, 300-hour teacher training in London & Ibiza, and most recently Chakra training in India. You can expect a relaxed and fun approach, getting you fir out whilst still focusing on the meditative aspects of yoga. Their business philosophy is simple – not to be the biggest but to be the regions premier accountancy practice and to add value by working proactively with their range of client businesses throughout East and North Lancashire, North Yorkshire, Craven and the Lune valley through regional offices. Courtesy of Justin Birtwistle one of our Running4CF members. 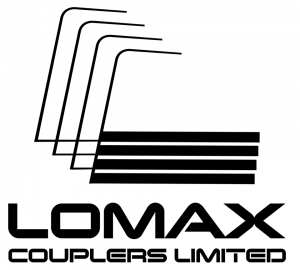 Lomax Couplers is a manufacturer of high quality machined parts and components for the most demanding industry sectors including Oil and Gas, Process Engineering and Aerospace. Judith and Kate Goodway - friends of Steve's ...many thanks to them - we still have a couple of legs left if anyone wants to sponsor the final ones ...just get in touch and we'll put you down - £100 ....all sponsors will be published at the celebration party on October 12th too! Queensgate Dental Practice provide a wide range of services to keep teeth healthy in the long term. All team members are dedicated to providing the highest quality care.Their years of experience allows them to provide a wide range of treatments, from fillings to full smile makeovers. Using Leica surveying instruments and experienced caring staff TriCAD aims to supply the right information for your project. Whether it is a large scale Industrial site or a domestic dwelling TriCAD can tailor a survey solution to your needs.. TriCAD Solutions Ltd is a group of nice folk who enjoy their job. We try to our best on every project and our relationship with our clients is key. We value all clients as if they were friends and aim to be considerred part of any clients structure not just a third party contractor. St Augustine’s School Billington. In June one of our Running4cf group Stephen Burton, who teaches there, organised a wear yellow and sponsored run day and raised in excess of £800 for The Cystic Fibrosis Trust to support the LEJOG challenge ....massive thanks to Stephen and all at the school - an amazing amount and we are incredibly grateful. St Augustine's have now raised £1540.29 and would like to thank you for inspiring us to get involved and show our support. Keep up the good work and good luck on your epic journey!!! 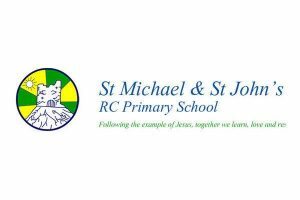 Holy Souls Primary School in Blackburn where our Running4CF friend Danielle Ellison is Headmistress and along with the whole school has been a huge supporter of Steve’s challenge. 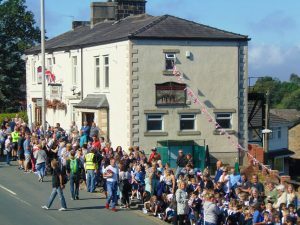 On 22nd June Steve and Garry plus a team of staff and volunteers walked 60 Year 10 and 11 children up to the Big End of Pendle on a sponsored walk whilst the younger age group did events at the school - they raised an enormous £2600 ...amazing and we are all incredibly grateful. 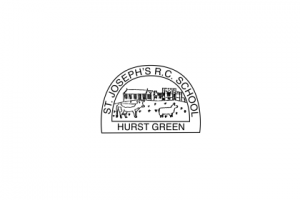 Our sponsor of the day is St Joseph's RC Primary School Hurst Green and this message is from Linda Geldard who teaches at the school, and is a big part of Running4CF, will hopefully spur you both on...."The staff, children and families of St Josephs wish you luck every step of the way. We're tired as we start our last week of term but know that we've got time to rest while you continue to walk all the way through the school holidays and then for the first 2 weeks of the new term. We'll be thinking of you - you're a CF hero".....you really are - good luck Steve ...stay strong. Grays of Blackburn has sponsored this part of Steve's journey. 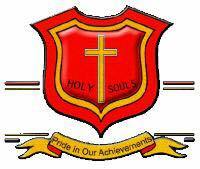 Grays have been providing superior quality schoolwear since 1920. Today, they provide school uniform to over 60 schools within Blackburn, Clitheroe and the surrounding areas. They give a personal service for quality clothing and along with school uniforms they stock Gabicci Menswear and Gloverall Duffle....as ever sending all our thanks to them. Todays Leg is sponsored by Cast Properties owned by Candice and Steve Heys who have already sponsored a Leg via their PhysioRoom company, - very kind and so very much appreciated - thank you. An independent driver agency and logistics recruitment services business operating exclusively in the UK logistics sector, providing specialist nationwide driver agency and warehouse staff recruitment services from our offices in Lancashire....thank you for supporting Stephen Taylor in his epic challenge and helping all those with Cystic Fibrosis - we really appreciate it. Amidst the outstanding natural beauty of the Forest of Bowland this picturesque country inn sits at the heart of the tiny village of Bashall Eaves. It offers a luxury B&B experience and a fabulous restaurant. 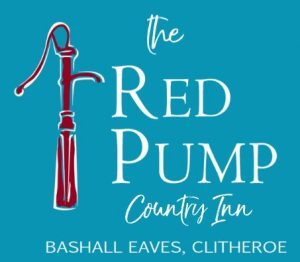 With an elegantly rural interior, The Red Pump Inn has been restored to its former glory and had new life and character injected by the bucket load. Stone flag floors, oak beams, crackling open fires and 8 boutique bedrooms complete with French antique beds, fluffy slipper comfort mattresses and powerful wet room showers. 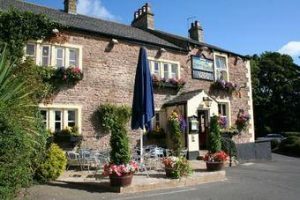 Recommended in Alastair Sawday's Secret Places and the Good Pub Guide, it’s the perfect place for a night away in the heart of the Lancashire countryside.......thanks to them for their support - raising money to help Steve fight Cystic Fibrosis. 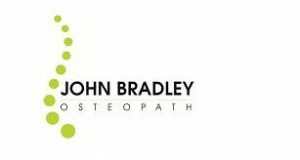 Very kindly sponsored by Candice and Steve Heys of The Physio Room whom we are really grateful to (and especially Steve, who is using their blister kit right now!) 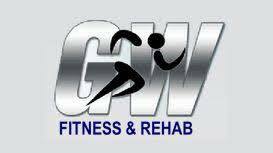 They provide a wide range of news, guides and advice related to injuries in sport, and an extensive range of injury products, physiotherapy supplies and rehabilitation equipment. The Billington and Whalley Brass Band Club are a big supporter of the Running4CF group along with now Walking4Cf and we are incredibly grateful for the support they give.